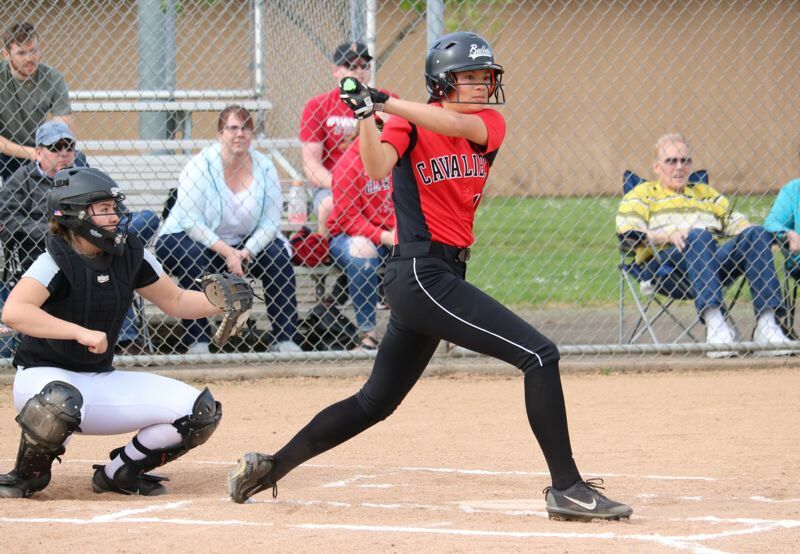 Clackamas sophomore first baseman Alyssa Daniell started the 2018 high school softball season swinging one of the hottest bats in the state. 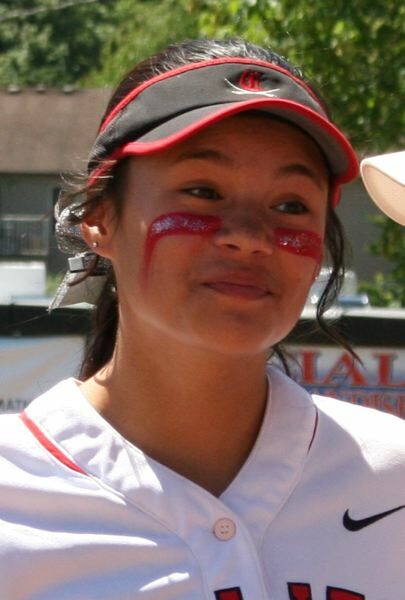 Daniell finished the season with eye-popping numbers -- a blistering .657 batting average (65 for 99) with 16 doubles, four triples, 16 home runs, 50 RBIs, and 50 runs scored -- and was named the OSAA Class 6A softball Player of the Year after leading the No. 2-ranked Cavaliers to their first appearance in the championship final. Tigard senior Ashley Davis was recognized at the 6A Pitcher of the Year for the Tigers, while Tualatin's Jenna Wilson was named Coach of the Year after her top-ranked Timberwolves capped an undefeated season with a 4-3 win over Clackamas in the final. Joining Daniell and Davis on the All-State first team from the Mt. Hood Conference were Oregon City pitcher Morgan Hornback, Oregon City designated player Zoie Iverson, and Barlow outfielder Alexa Bailey. Clackamas (26-6) had the state's second-highest scoring offense among Class 6A teams, averaging 10.1 runs a game. The Cavaliers hit for power up and down the lineup, but the most potent bat belonged to Daniell, hitting third in the order. Daniell hit safely in 28 of the 31 games she played, and not only closed the season on a 21-game hitting streak, but also ended the season with 19 consecutive multi-hit games. She had three hits in a game 12 times, and had one four-game stretch during the first half of league play when she went 11 for 14 (.786) with six homers, two doubles, 10 RBIs, and 11 runs scored in consecutive wins over David Douglas, Oregon City, Reynolds, and Centennial. In the playoffs, Daniell had multiple hits in all five games and finished 11 for 16 (.688) with two triples, two homers, five RBIs, and two runs scored. Hornback, the Texas Tech-bound pitcher, landed on the All-State first team for the third season in a row after leading No. 5 Oregon City (24-6) in the the semifinals against eventual-champion Tualatin. SECOND TEAM: Pitchers -- Rylan Austin, Sr., North Medford; Samantha Brauckmiller, Sr., Franklin; Olivia Strickland, Sr., Jesuit; Isabel Womack, Sr., Glencoe. Catchers -- Ashlynn Bailey, Sr., Glencoe; Hailey Davis, Sr., West Albany. Infielders -- Taylor Alton, Sr., Tualatin; Alex Barry, Sr., North Medford; Grace Gaither, Jr., Grants Pass; Emily Johansen, Jr., Tualatin; Maygen McGrath, Sr., South Salem. Outfielders -- Lexi Klum, Soph., Tigard; Brooke McKelvey, Sr., West Linn; Joey Miller, Sr., Clackamas; Ally Schuell, Sr., Madison. Designated player -- Jordan Kuykendall, Sr., Grants Pass. THIRD TEAM: Pitcher -- Grace Ferris, Sr., Roosevelt. Catchers -- Ella Hillier, Sr., Tualatin; Isabelle Lewis, Soph., Oregon City. Infielders -- Ellie Babbit, Fr., West Albany; Morgan DeBord, Jr., Glencoe; Nalani Muranaka, Sr., West Salem; Gavin Shafer, Jr., Century; Abby Wingo, Jr., Sunset. Outfielders -- Erika Allen, Soph., Roseburg; Jensen Becker, Jr., Glencoe; Vanessa Gonzalez, Sr., Forest Grove; Zoe Olivera, Sr., Tualatin. Designated player -- Marley Johnson, Soph., Madison. HONORABLE MENTION: Pitchers -- Mahayla Gamble, Jr., West Albany; Lexi Geary, Soph., Barlow; Shaylee Monise, Jr., Clackamas. Catchers -- Emily Paulson, Soph., Tigard; Annalissa Williamson, Sr., Jesuit. Infielders -- Cassie Cossler, Sr., West Albany; Mia Ewell, Soph., Grant; Jenny Marnin, Sr., Jesuit; Kaitlin Lampson, Sr., West Linn; Kylee Vanderbout, Sr., Clackamas. Outfielders -- Taylor Butterfield, Sr., Glencoe; Megan Convery, Jr., Reynolds; Ashley Renda, Sr., Jesuit; Sophia Vandersommen, Fr., Tigard. Designated player -- Presley Janzi, Fr., West Albany.